What does rebirth mean to you? Does it mean starting over or trying something new? A new life, a new hope, or springtime? Maybe it's a second chance, a new beginning, or a new artist's technique. 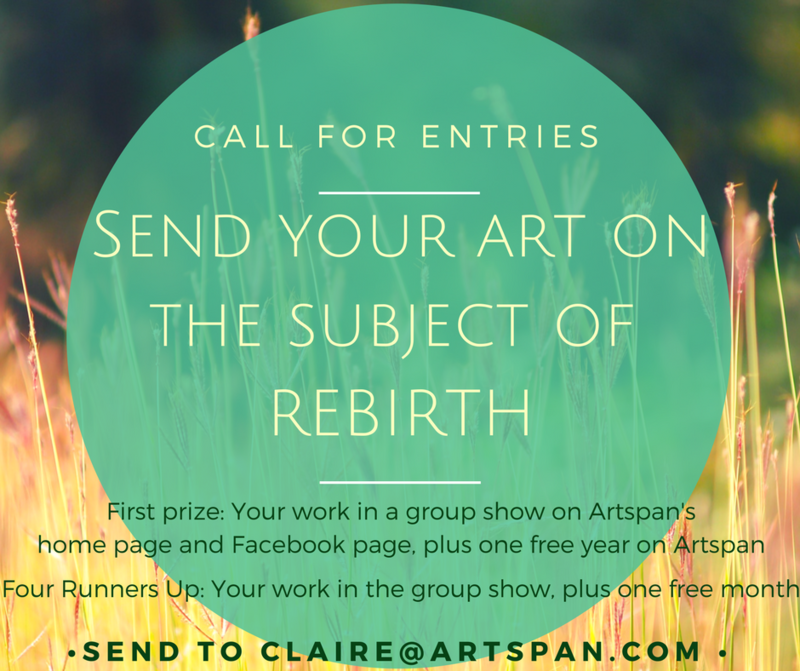 Send us your Artwork on the subject of REBIRTH. The grand prize winner will get TOP BILLING in a group show on Artspan's home page and our Facebook page, and will get their Artspan site free for one year. Four runners-up will have their work in a Group Show on Artspan's home page and our Facebook page, and will get a free month of Artspan membership. Send entries and questions to [email protected], or send a link to your site and the name of the artwork you're nominating.